Yahoo! 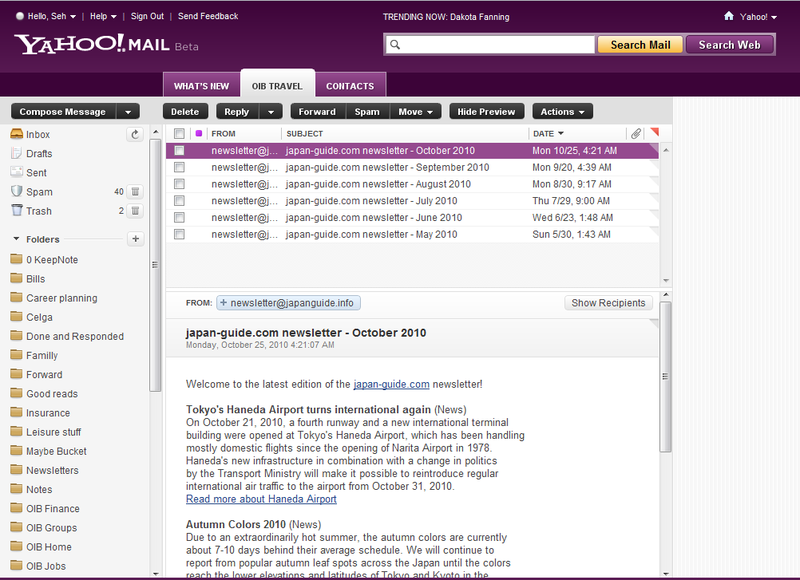 Mail just launched a beta for their latest user interface, which looks like the screenshot above. I have to say that I kind of liked the new skin but the heading just looks awful in my opinion: it’s too large, too loud and, honestly, pretty useless. 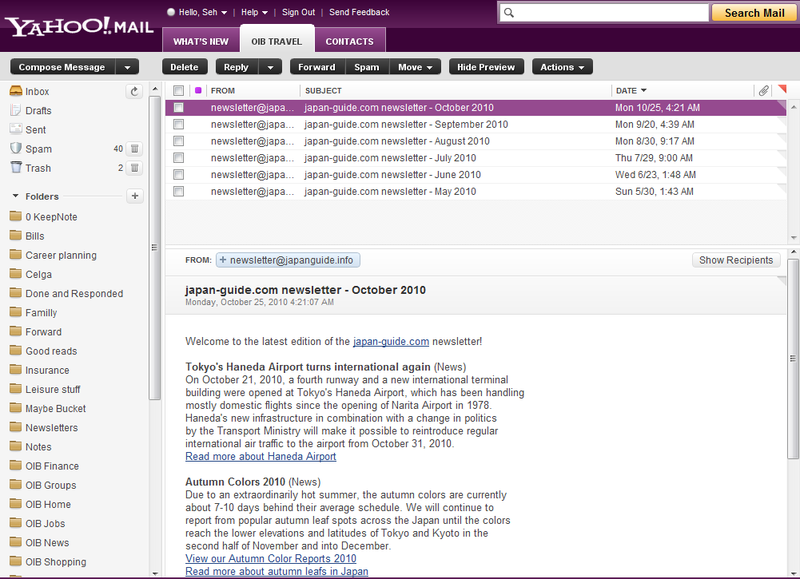 With such a loud purple and a lot of whitespace, they are a complete distraction and annoyance when I’m reading emails.